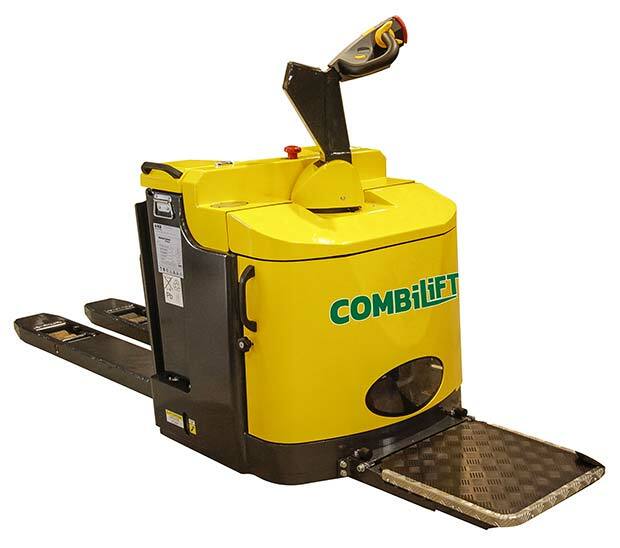 One of Combilift’s newest products, the Combi-PPT, will make its global trade fair debut at LogiMAT 2019 – Hall 9 Stand D51. This powered pallet truck is a further addition to the Irish manufacturer’s growing pedestrian range, and comes with standard lift capacities of 3,000kg and 6,000kg, with higher capacity models from 7,000kg to 16,000kg available on request. Many companies favour walk behind models when possible as these are considered to ensure a higher level of safety where other members of the workforce are present – in busy areas of manufacturing facilities for example. The Combi-PPT includes the unique, patented multi-position tiller arm common to all Combilift’s pedestrian models. This enables the operator to stand at the side of the unit rather than at the rear (as is the case with other walk behind brands), giving excellent visibility of even the bulkiest loads and their surroundings. This position also eliminates any possibility of crush risk when working in confined areas and prevents product damage. Other models on the stand will include the Aisle Master articulated truck – an increasingly popular choice for warehousing operations that want to capitalise on space. Live demonstrations will show its narrow aisle capability within racking. Models from Combilift’s multidirectional range will also be on show. These include the compact counterbalance design electric Combi-CB, and a 4t capacity C4000ET, also with electric power. Two other pedestrian models round off Combilift’s LogiMAT offering; the multidirectional Combi-WR4 reach stacker and the Combi-CS counterbalance stacker.